When you ask someone what their biggest fear about going to the dentist is, the typical answer is that they don’t like the pain. For some patients, pain is non-existent because they have regular routine appointments that don’t require procedures done or any kind of surgery. Unfortunately, this is not the case for other patients. People who have dental issues and need to have cavities filled or teeth removed, are usually the patients who have the fear of pain. Luckily, now that that evolving technology is one step ahead, at Westside Dentistry there is a device to eliminate the pain altogether and create a non-stressful, positive experience with your dentist. Technology is forever changing and evolving – new inventions and techniques are developed every day for many different types of industries. Dentistry is one profession that needs updated and high tech equipment to provide patients the best possible care. Scientists have created a device called The Wand. It specialises in administering anaesthesia to patients, in a pain-free and non-needle way. Anaesthetic given through needles can be painful due to multiple different reasons, however, the main reason the pain is felt is because the anaesthetic is delivered too quickly and/or at fluctuating pressures. The Wand is held just like a pen and delivers anaesthetic slowly and at a constant pressure. 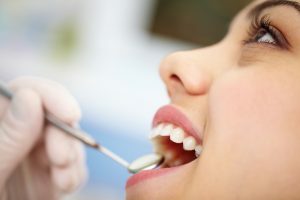 It is designed to numb each individual tooth that the procedure is being done on so to not make you leave with a tingly tongue and not able to feel your lips. It is also more comfortable, greatly reduces anxiety and in most cases eliminates collateral numbness. This new tool allows us to avoid the pain, collateral numbness, and needles that are needed for a successful surgical or dental procedure. At Westside Dentistry we have this state-of-the-art technology available. Having regular dental check-ups is important for health and well-being – if more people would visit their dentist if they knew there were no needles involved and all procedures could be pain-free, there would be many more mouths in the world that are cavity free. The Wand is a new exciting device in the dental profession and is a great solution for those fears that most people have about going to see their dentist on a regular basis.